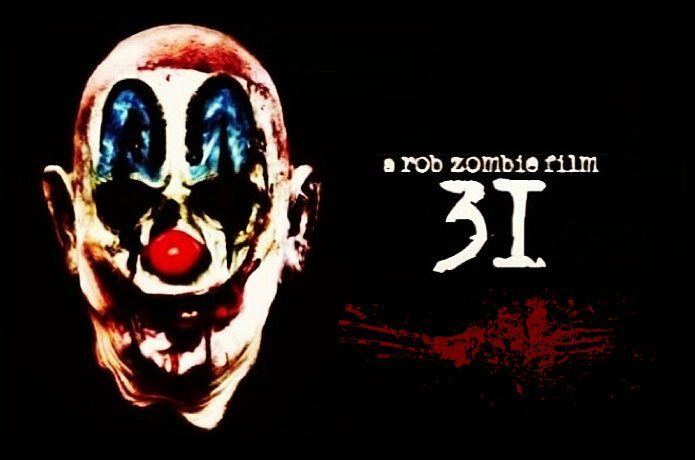 Horror-Of-Horrors, Rob Zombie's 31 Is A Clown Nightmare! Horror-Of-Horrors, Rob Zombie’s 31 Is A Clown Nightmare! Rocker Rob Zombie is a multi-talented artist with a penchant for all things Halloween. Whether it’s his music or the way he garbs himself, he loves things that would scare this average mortal. So it comes as no surprise then, that around the costume-themed festival of horrors, that he is releasing his independent film, 31. And yes, if you have a phobia for clowns, then be duly warned: 31 is made up of your darkest nightmares. The story is about a bunch of circus workers who are on the road and suddenly get busted on their way. After the attack, a few survivors are left, and are forced to play a game of cat-and-mouse, running through a maze for survival. The game involves terrible tortures and gore galore. They must survive this game for another 12 hours, and many fail to reach the end. In fact, their captors challenge that none will be able to make it to the end. How will they be able to get through the maze without giving their lives in return? Wait and watch and be prepared for the worse! The film was written by Rob Zombie and was funded through crowd-funding by eager fans of the metal star. It also premiered in January 2016 at the Cannes Film Festival. However, many preview ratings were average, with people not thrilled about the upcoming thriller. But those who are used to Zombie’s blood fest might take delight in the deranged clown flick. He has previously produced two movies in a similar genre: House Of 1,000 Corpses and Devil’s Rejects. The film is set for an October 21st 2016 release in limited theatres across the United States. This ain’t no Oscar winner, but will be a bloody trip worth taking if you’re in the mood for a gory Halloween.